Dimensions:89 3/8W x 68 1/8D x 86H in. 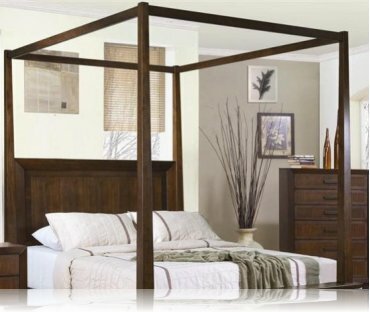 Our Garrett bedroom collection offers the warmth of solids and wood veneers. 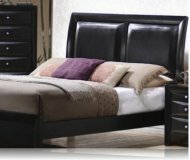 Finished in a deep rich brown, case pieces features full pull out Drawers with euro glides for ease of use. Matching TV dresser is also available. Since its inception over 25 years ago, Coaster Furniture Company has been setting newer and higher standards of manufacturing and marketing Sofas, Love Seats, Sofa Sets and occasional furniture within the furniture industry. Coaster is firmly established as one of the country´s leading and largest national furniture distributors with 7 branches across the country. 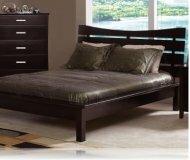 From casual, formal dining to upscale living room furniture, the Coaster Furniture Catalog contains a vast selection of pieces that offer great value for your money with the latest styles and trends to fit any room in your house. 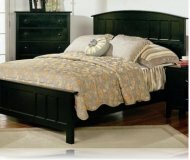 The best thing about Coaster Furniture is that it is priced very completive. 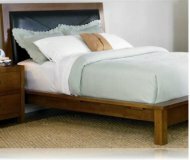 Coaster Furniture makes it possible for families on a budget to furnish their homes with high quality and trendy contemporary furniture. MSRP: $999.99 $799.99 Seen it for less?